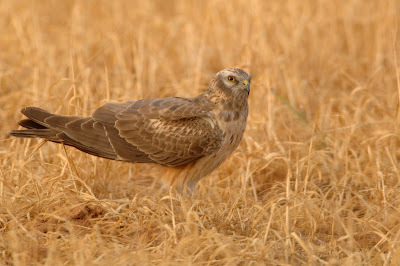 This ringtail Pallid Harrier was stumbled upon at first light in our hire car. 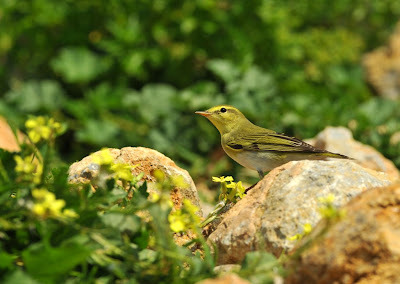 It was feeding on a small green snake no more than five or six yards from the car. I'm not sure who was more surprised ! The window was wound down slowly and I managed about twenty shots in a continual burst before it flew. Being so close, the centre spot focus lock had to moved to the right edge to achieve focus on the eye instead of the wing. EXIF Detail: Camera Nikon D2x. Program Mode. Aperture: F/6. Shutter 1/160s. ISO 250. Exp -0.3 EV. White Balance Auto. 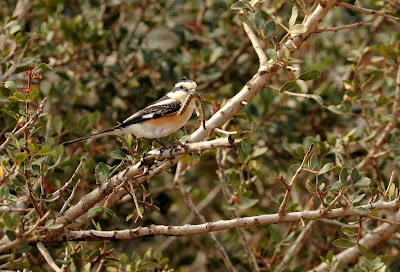 This shortened sequence of events shows this male Masked Shrike killing a centipede, hanging it on a thorn as all butcher-birds do, then swallowing it whole! Look closely in the above image and the centipede is hung out to dry! Look closely in the image below and 96 legs of the centipede have disappeared. EXIF Detail: Aperture priority. F/8 Shutter 1/320s. -0.7 EV. ISO 250. WB Cloudy. Centre weighted metering. 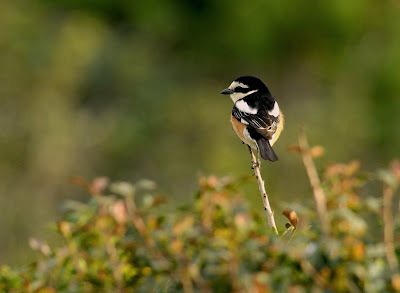 Focal length 500mm. 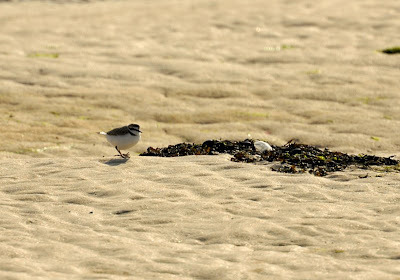 These two images were taken last Spring from the car window at a distance of about 25 yards. They have been cropped about 25% and sharpened up a bit in Photoshop. 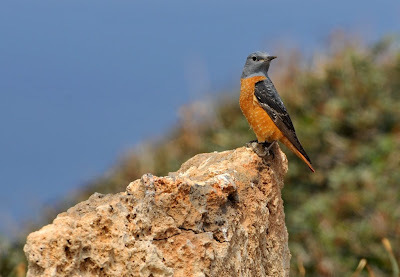 Red-footed Falcons migrate through the Med in late April, often in good sized flocks. 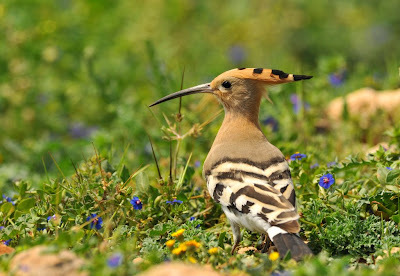 The saddest news I heard last year was 52 of these stunners were all shot near Akrotiri by some mindless cretins. EXIF Detail: Program Mode. Ap F/5. ISO 100. Shutter 1/100s. Exposure -1.0EV. Focal 700mm. Camera Nikon D2x, 300mm 1.7x TC. 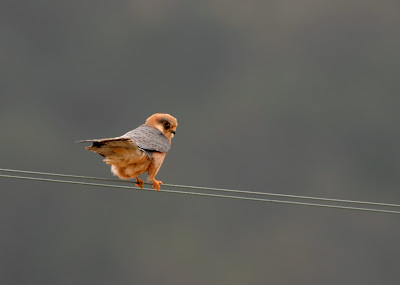 (Mr Johns is friend of mine who asked about Red-foots - here are two of my best John). 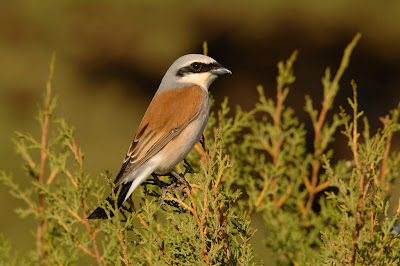 This stunning male Red-backed Shrike was photographed in Spring 08 with a D2x and 300mm lens and 1.7xTC at a distance of about six yards. It was taken early in the morning with the low sun behind me. Either the sun blinded him or he just wasn't bothered by my presence. I took many photos and was even afforded enough time to compose every angle of shot conceivable! 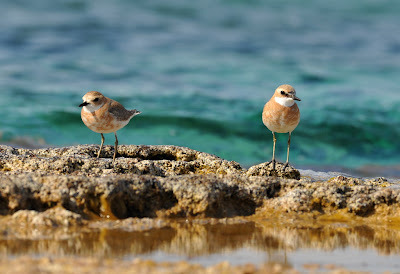 With new software always being updated, I put these "old" shots through CS3 and they have been surprisingly refreshed. EXIF Detail: Program Mode. Ap F/9.5 Shutter 1/320s. ISO 200. Exposure -1.0EV. 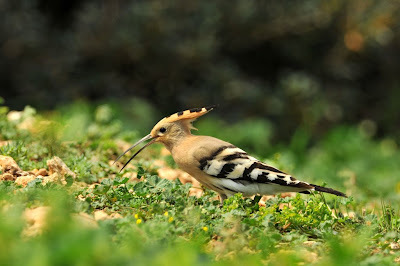 Focal length: 700mm. 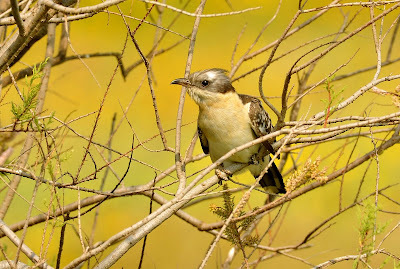 Great-spotted Cuckoo is normally quite a distant and shy bird to photograph. 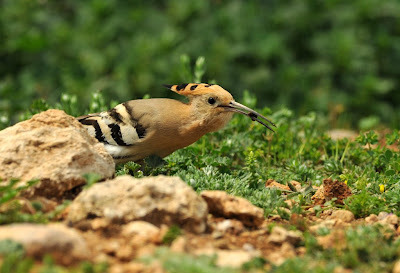 This shot of an adult bird was taken from the car window at about 25 yards and was quite relaxed. The yellowish background is the out of focus field of cornflowers. EXIF Detail: Aperture priority. F/10. Shutter: 1/250s. ISO 250. Exposure +0.7EV. Centre weighted Metering. 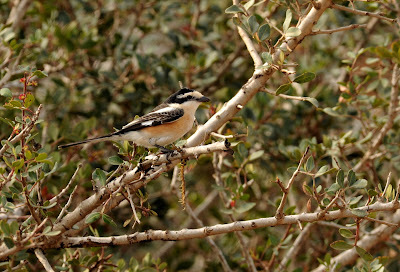 This male Masked Shrike appeared late in the day and was in pristine breeding plumage. It had just arrived as we had checked this patch twice previously. 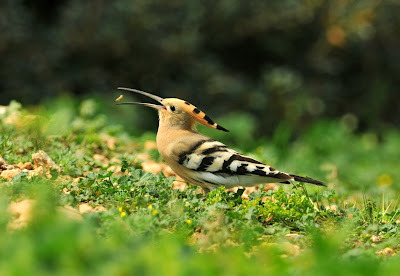 It was very hungry and energetic and as such this was the best shot I could manage. EXIF Detail: F/6.3 . ISO 320. Shutter 1/200s. -1.0 EV. WB Cloudy. Centre weighted metering. Tripod mounted. 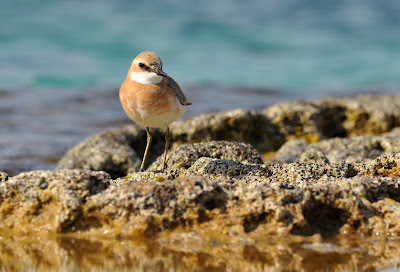 Cyprus at the end of March and early April is prime time for migrating wheatears. Every suitable habitat holds them. 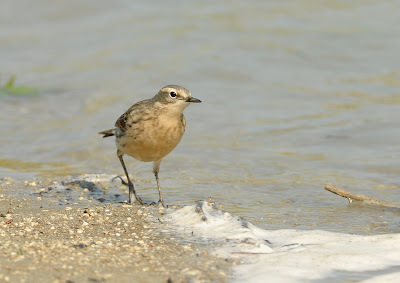 Isabellines and Black-eareds were most common followed by Northern. 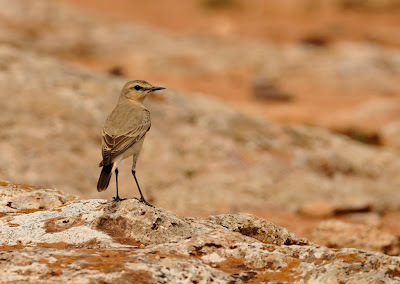 We were lucky to find a pair of Finsch's Wheatears on passage, although they do winter in Cyprus. 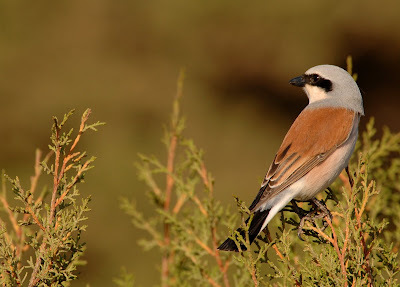 Females are more tricky to identify and pose plenty of discussion. Below is a sample of some of the images. 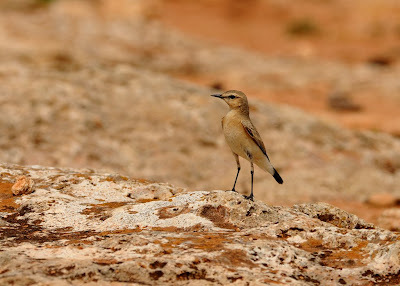 Above and below: Female Desert Wheatear, the only one seen on this trip. 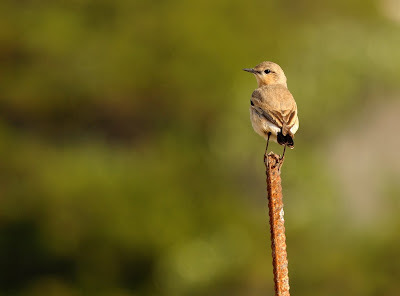 Below: Male Isabelline Wheatear. 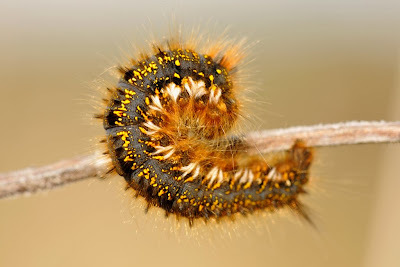 These were numerous. 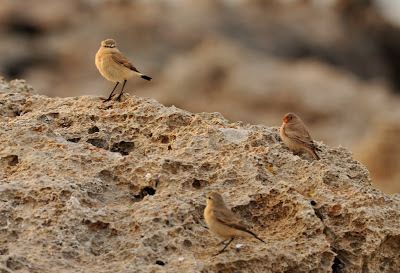 Isabelline Wheatears with a Trumpeter Finch on the same rock. 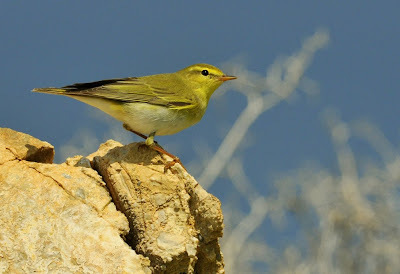 Apologies for this one being slightly soft... but the Trumpeter Finch is the 11th record for Cyprus and given the long distance, and low light, was the best I could manage. 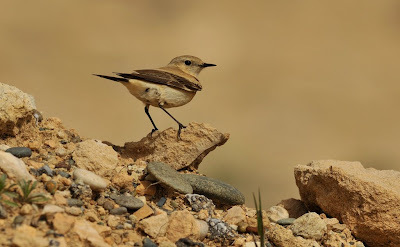 Isabelline Wheatear - this image was taken by Pete Maker. I passed my camera to him because this individual was on his side of the car! Perhaps he should keep it! 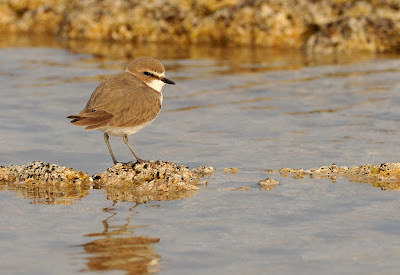 Female Isabelline - same individual as above. 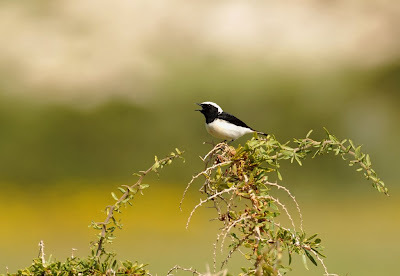 Male Cyprus Pied Wheatear - one of two endemic species on the island. 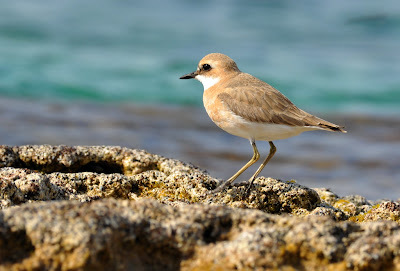 They can be found in any habitat on the island and are common. 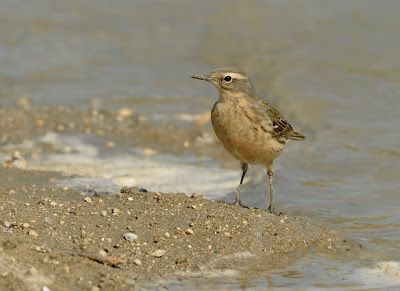 We saw several Water Pipits during our stay on Cyprus, all of which were in similar full summer plumage...quite spectacular birds and not often encountered like this. EXIF Detail. F/8. Shutter 1/250s ISO 200. 0.0 EV. 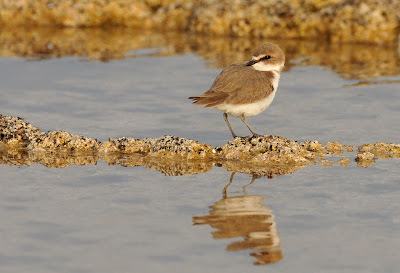 Focal length 500mm. Centre weighted metering. Taken from car window. 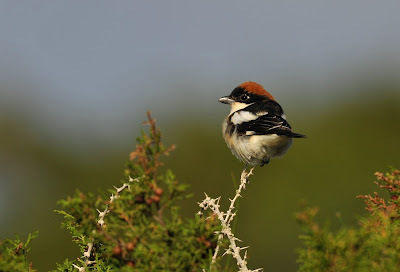 This male Woodchat posed for some time in the early morning sunshine giving me enough time to compose the image. 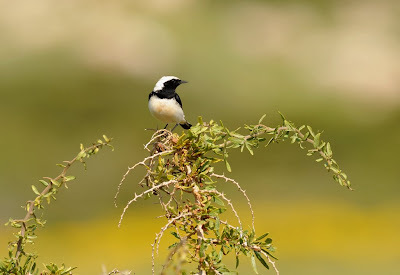 I have cropped in about 20%, mainly to remove some blurred white thorn branches. EXIF Detail: Aperture Priority. Ap F/4.8. Shutter 1/1250s. ISO 100. -1.0 EV. Centre weighted metering. WB Cloudy. EXIF Detail: Aperture Priority. Ap F/8. Shutter 1/640s. -1.0 EV. ISO320. Centre weighted metering. WB Cloudy. This is one of my favourite shots as the bug is tossed up and then swallowed. 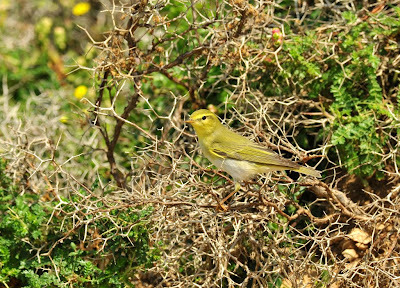 On the 5th April we experienced a small fall of Wood Warblers. 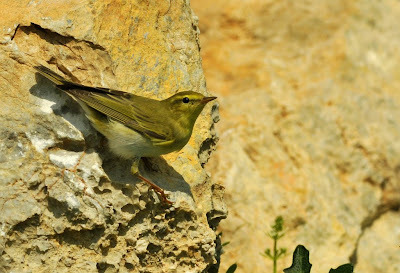 Normally a bird found in the cover of tree foliage, passage birds can find themselves in exposed situations, just like these birds on open rocks. A perfect place for photography of a perfect subject. EXIF Detail: Aperture Priority. Ap F/8. Shutter 1/1250s. ISO 320. -0.7 EV. White Balance Cloudy. Centre weighted metering. Not a major rarity but quite a nice pose. 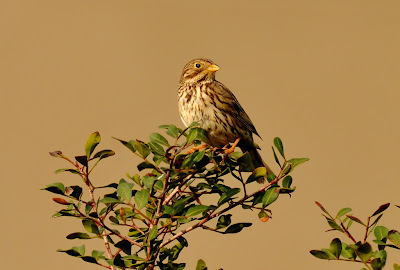 Corn Buntings are common in Cyprus but quite difficult to get close to. 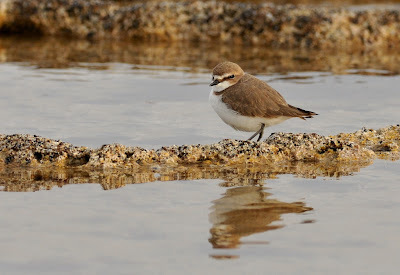 This individual sat up nicely. The background is actually the side of a derelict barn blurred out in the low depth of field. 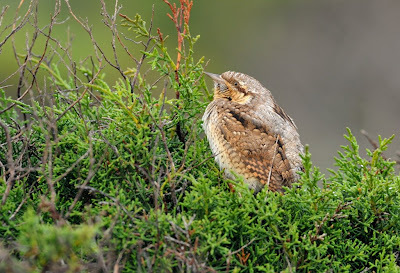 I stumbled upon this Wryneck with its' back to me in the fir tree near the headland. My first impression was a Scop's Owl as all I could see was the grey mantle. It then turned and looked at me directly in the eye and stayed motionless for about five minutes before disappearing into the foliage. 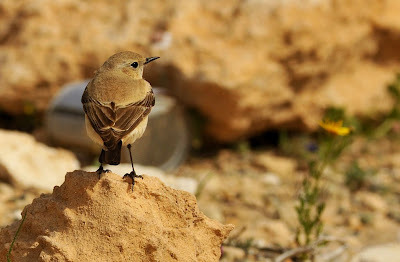 It was obviously a tired migrant and was quite fearless. The image is the original size but with some colour saturation applied in Photoshop. 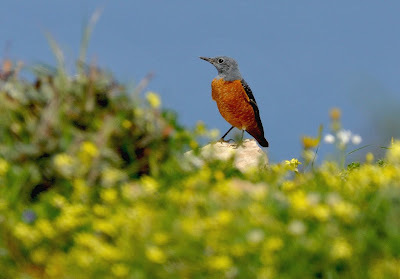 We saw four Rock Thrushes during the week, the most that we have ever seen. 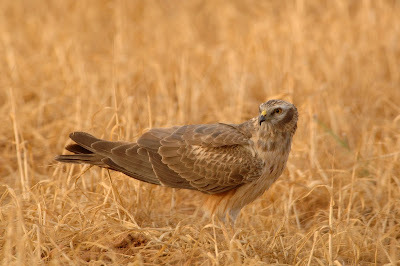 This male was the most confiding, although these images were taken from the car window. 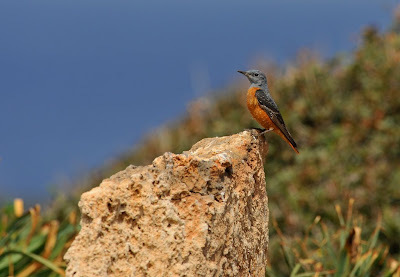 As such, his confidence was high and didn't show the Rock Thrush's naturally shy character. This male was also the brightest of the four seen, as can be seen here. What a stunner! EXIF Detail. Aperture Priority. Ap F/8. Shutter 1/1000s. ISO 320. -0.3 EV. Centre weighted metering. 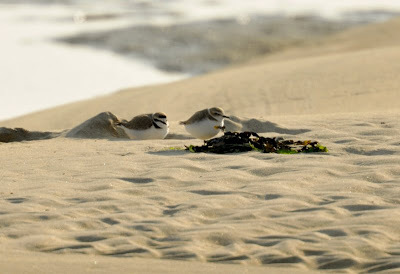 These two Greater Sand Plovers were quite content to rest on the rocks while the waves broke behind them. 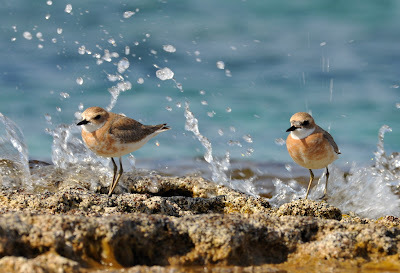 The sea was hardly rough but every couple minutes a small wave would crash behind the birds. 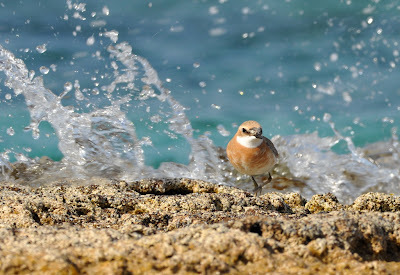 I used a polariser filter to gain some extra contrast and the images have been sharpened and saturated a little to give some extra colour contrast between the sea, waves and bird. 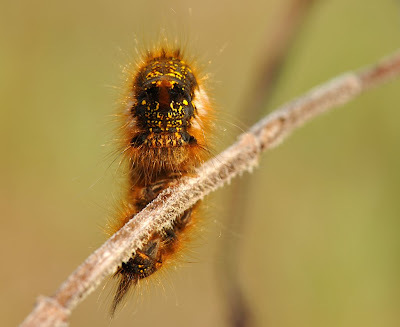 EXIF Detail: Aperture Priority. Ap F/9. Shutter 1/200s. ISO 250. -0.7 EV. WB Cloudy. 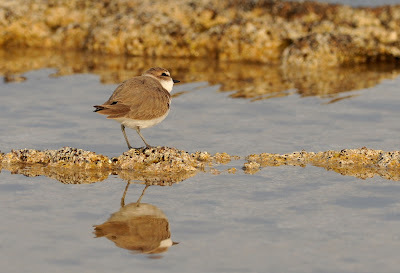 This tame female Kentish Plover allowed approach to about 10 yards. 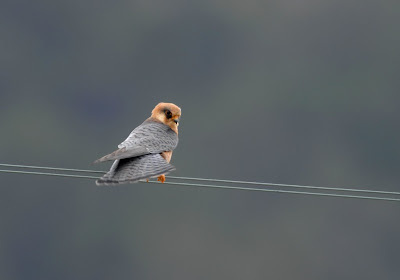 Quite content to stay on the rock, more interest was paid to the almost constant raptor activity overhead. 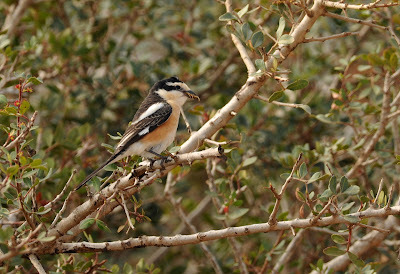 All of the birds seen in Cyprus were constantly looking upwards and sideways, as shown in the image below. The skyward pointing was always a useful indicator and we often used this to find raptors at extreme heights. 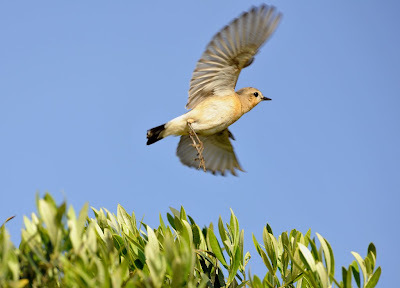 A birds' eye sight must be incredibly keen and much stronger than ours. EXIF Detail: Aperture Priority. Ap F/7.1 Shutter 1/1000s. -0.3 EV. Centre weighted Metering. ISO 320. WB: Cloudy (to give more warmth to the overall image). 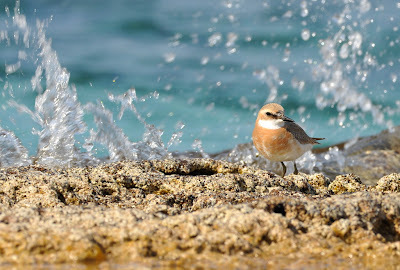 The image below is the same bird but simply taken from a different location and with the sun at a different angle. It's surprising what a simple change of position can do to the final image.